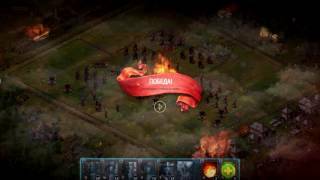 BigGame - tactical turn-based strategy! Igra BigGame online strategy, in which the player gets into a huge world full of mysteries and incredible adventures. Razrabotchiki claim that iPlayer BigGame modern interpretation of the classic strategy genre with great intellectual potential. To win is essential logic of thinking, a well-developed strategy and tactical advantage over the enemy, but the element of chance is an integral part of life, the slightest delay in the decision could bring defeat. Dlya to set foot on the path of adventure BigGame registration is required. Pass it is not difficult, you need to fill in a form of two lines of the email address and password. Even faster to click on the icon of one of the social networks and enter under his own name. Publichny house in the structure of the players kill two birds with one stone, brave soldiers after long marches should relax, and their salary is returned to the treasury. Privlech to their side of one of the characters is half the victory. V BigGame play alone is a dangerous business. Neighbors in this world is not always friendly, some come to the rescue in difficult times, while others are not averse to profit at the expense of others and simply destroy the neighboring kingdom. Within the community are actively trading and deals are made, you can change the military and magical technology and faster to obtain the necessary licenses to the allies you can ask for military support, and they will come to the defense, if necessary.